Give your outdated kitchen sink an instant makeover with this elegant Alpine Project Sink Mixer. Featuring a sleek design, this kitchen mixer offers high quality at a budget-friendly price. It has been designed to complement the looks of any kitchen and to be installed into any kitchen with absolute ease. 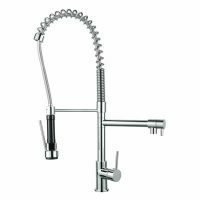 The ideal example of contemporary design, this kitchen mixer offers smooth and effortless operation. It features solid brass construction which makes it durable, while the chrome finish offers stylish looks. It also very ergonomic; featuring an easy to grip handle. Ceramic disc mixer cartridges ensure the water temperature and flow is easy to control. It has been given a 4 star WELS rating and has water consumption of 6.5 litres per minute. The Alpine Project Sink Mixer is also Watermark approved. Alpine offers impressive guarantees on all tapware. 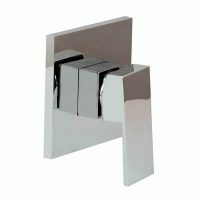 The tap body of this unit features a 5 year guarantee; the cartridge features a 2 year guarantee, while there is a 1 year guarantee on the finish of the product. These guarantees demonstrate the high-quality of this kitchen mixer. Breathe new life into your kitchen with this Alpine Project Sink Mixer. For the best price online, and to take advantage of free delivery to Perth Metro areas, buy this kitchen mixer today only from Ross’s Discount Home Centre!